Piso is the title of a newly created children’s book series. From conception to creation, digital illustrations, book design and creation of Piso and his family members it is a book fully devised by Anna Issabekian. “Piso has a Nightmare” is the first book in this whimsical and adventurous upcoming series aimed for Armenian speaking children worldwide. The character, Piso, is a little kitten who lives with his parents. He has a vivid imagination and lives in a world where he grows strong and seeks pleasure through bravely exploring his new surroundings. 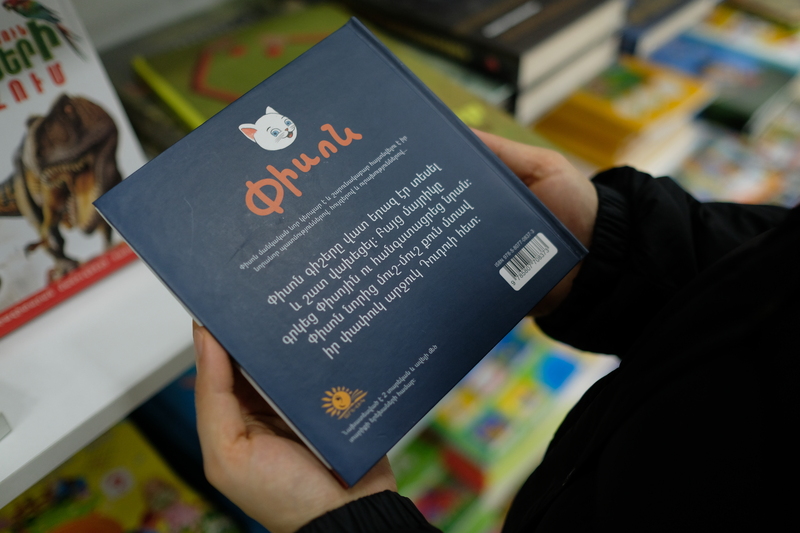 “Piso has a Nightmare”, first published in Armenia, November 2018. To keep up to date on the continuing development of this exciting new book series you can follow its Facebook page, or subscribe to my website where you can also find my contact details for any queries.